Brisbane has a brand new music venue. Fortitude Music Hall is a labour of love from Powderfinger’s John ‘JC’ Collins, Secret Sounds’ Paul Piticco, Live Nation and Hutchinson Builders. 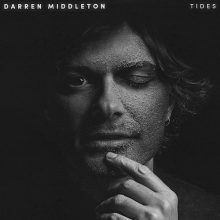 Former Powderfinger guitarist Darren Middleton has a new song, an album on the way and an East Coast tour coming up. Powderfinger’s reunion at Splendour In The Grass on Saturday was actually 80% of Powerfinger, not the complete band. It turns out drummer Jon Coghill wasn’t invited. Bernard Fanning’s Instagram tease of a Powderfinger reunion yesterday turned out to actually happened. Former Powderfinger guitarist Darren Middleton will head back to his old hometown state of Queensland in August to perform at the Gympie Muster. Former Powderfinger singer Bernard Fanning is releasing the new song ‘Belly of the Beast’ to make voters think before they vote at the upcoming federal elections both in Australia and the USA. 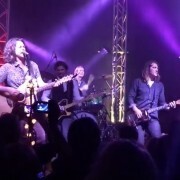 Bernard Fanning, John Collins, Darren Middleton and Ian Haug of Powderfinger performed together on Saturday night but it was “not a reunion folks”. At least three fifths of Powderfinger will reform tonight in Brisbane and if the word on the street is correct, Bernard Fanning may make it close to a full-on reunion. Bernard Fanning will perform a run of solo dates in January. 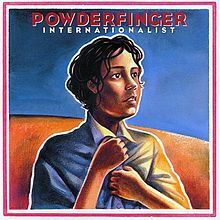 Ian Haug of Powderfinger has joined The Church, replacing founding member and guitarist Marty Willson-Piper. Bernard Fanning has had to cancel his Hobart show next Tuesday due to a funeral band members are required to attend in Queensland that same day. 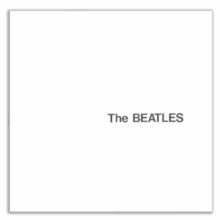 CONTEST HAS FINISHED FOOTPRINTS – The Best Of Powderfinger 2001-2011 brings together 18 musical moments to serve as a permanent reminder of what made Powderfinger one the greatest and most popular Australian bands of all time. Susan Boyle’s third album Someone To Watch Over Me shuffles the top ten down in this week’s chart wrap. Susan Boyle, Il Divo, Powderfinger, a Twilight soundtrack and more lead an odd week in new releases. Powderfinger are streaming the new track ‘Empty Space’ from their forthcoming Best Of album. The 7th album for The Living End has been titled ‘Shift’. 360 has taken The Living End’s Chris Cheney into the studio to lay down an acoustic version of ‘Early Warning’. The Living End’s Friday and Saturday night shows at The Corner Hotel in Melbourne this week both feature a special guest support band called Ivy and the Big Apples. Who are they?